People have long gravitated towards the Sunshine Coast, for its climatic and geographical “sweet spot”. But over $10 billion in projects and investments is set to transform the region, as Sunshine Coast Council Mayor Mark Jamieson takes a look at our long range forecast. Sporting a green and white rugby league jersey, Mark Jamieson runs onto the field to compete against long-time rivals, the Sunshine Coast – a team with star players who went on to become his teammates in the Wide Bay representative team. It was the 1970s when Mark first came to the Sunshine Coast, as part of visiting sporting teams. “It was a totally different place then. In those days the communities were smaller and the connectivity between various areas was quite different,” Mark says. Mark and his wife Lorrell honeymooned here in 1980 and enjoyed many family holidays on our beautiful beaches. In 2001 they made the Coast home, when Mark was appointed general manager for the Sunshine Coast Daily, before becoming chief executive officer of APN’s publishing division. In 2012, he was elected Mayor of Sunshine Coast Council and re-elected in 2016. “In 2012, the Sunshine Coast was still enduring the impacts of the global financial crisis. Business confidence was incredibly low and there was no clear agenda or plan for the future,” he says. Mark led a taskforce of business and industry groups, the University of the Sunshine Coast and representatives from the State Government, to develop a 20-year blueprint for the Coast economy. “Our plan focused on delivering the essential infrastructure projects the region needed to change the business and employment fundamentals,” he says. 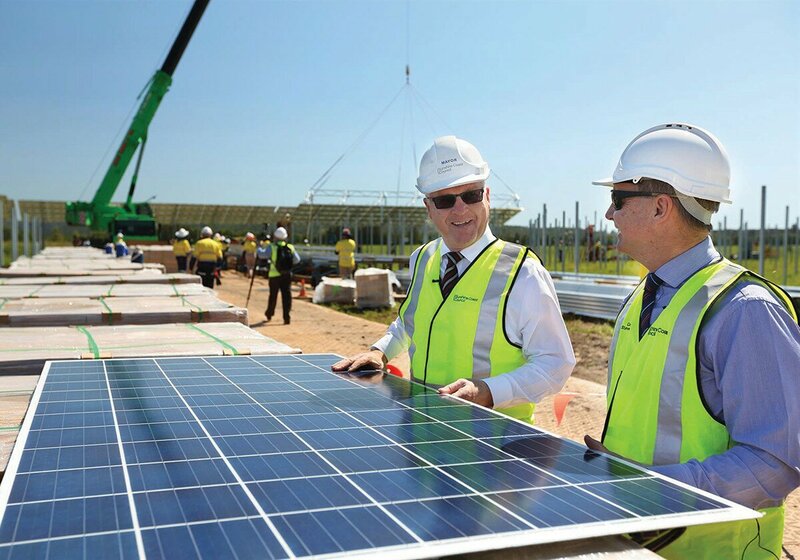 Some of the projects helping make that transformation a reality include the Sunshine Coast University Hospital and health precinct at Birtinya; expansion of the University of the Sunshine Coast; expansion of the airport; the development of the new city centre at Maroochydore; Council’s investment into the solar farm; and building a new entrepreneurial and innovative economy supported by the delivery of an international broadband submarine cable to the Sunshine Coast. 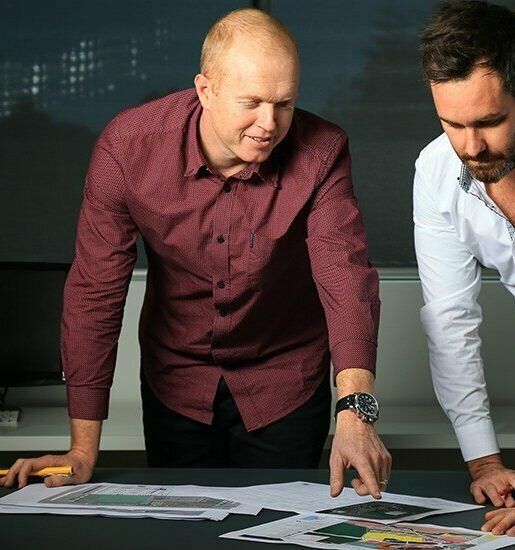 One project that Mark is most excited about is the new city centre in Maroochydore. “As a central location for the whole region, it’s beautifully positioned. It will, in my view, be the hub that helps link the Sunshine Coast communities. We pride ourselves on being a community of communities and I think that will continue, but we need a place where the region can come together. 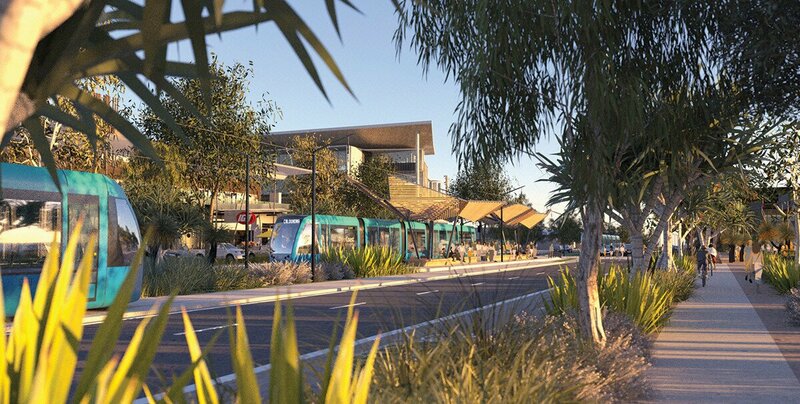 “It’s very unique to build a greenfield city in Australia. There’s nothing like it anywhere in Australia at this time, and it is a rarity to have 53 hectares smack bang in the middle of the region, where we can build a new city. 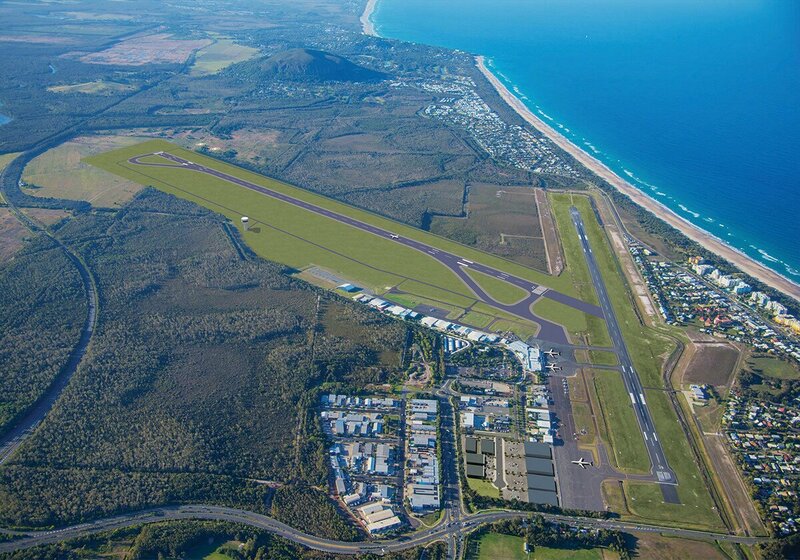 Now known as Maroochydore – the Bright City, it reflects the Coast’s emergence nationally as a leading city-region. 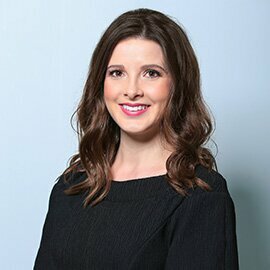 “At some stage, the region will need to be identified as Sunshine Coast City and I think that’s a step we’ll sensibly take when the CBD is under development. It makes a clear statement of where we have reached in our history, but maintains important links between the urban areas, the Hinterland and our natural environment,” he says. What will the Sunshine Coast look like in 10 years? “We’ll see almost another 100,000 people live here,” Mark says. 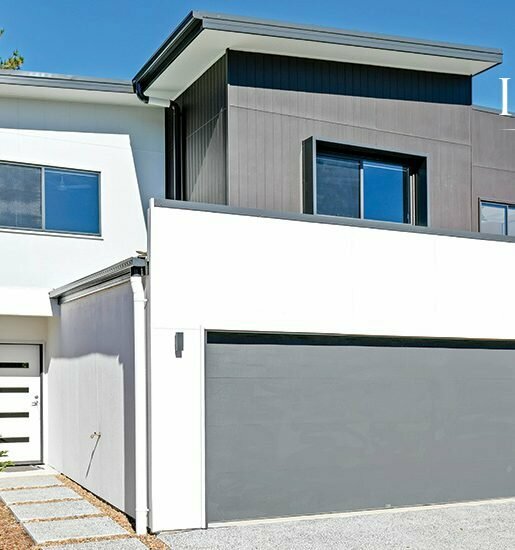 These people will likely live in the large developments currently under construction; Aura in ‘Caloundra South’ and Harmony at Palmview, collectively housing around 70,000 people at completion of the 20-year projects. Mark also anticipates an effective and integrated public transport system, linking our major centres and the key projects together – enabling people to connect with where they work easily and in a more sustainable way. Hopefully this will be in the form of a light rail network, which needs investment by State and Federal Governments and the private sector. “This would enable more people to use public transport and not need a car, or embrace the ‘sharing economy’ pioneered by the likes of Uber and Airbnb,” he says. “People will also choose to eat out more and cook less and families will likely be smaller, all of which will have implications around housing needs. “I think we’ll have a lot more high tech jobs and we’ll have the majority of people earning salaries above the state average. What put the Sunshine Coast on the map? People used to call us the North Coast or the Near North Coast. In today’s very brand-focussed world, the North Coast and the Near North Coast aren’t much of a moniker, so the name ‘Sunshine Coast’ was born. The foresight of our forebears who had that gazetted on 1 August, 1967, was a really bold move, and what better brand than sunshine! Mother Nature has lived up to it ever since. It was the first of the ‘bigs’ in Queensland. It was something special. When branding was less important and tourism was in its infancy, that was something that resonated with people, ‘the big’, and after that we’ve seen the ‘big everything’ up and down the coast of Australia. The broader Sunshine Coast has five rivers; Mooloolah River, Maroochy River and Noosa River, which all flow to the east and two rivers that flow to the west – the Stanley that joins the Brisbane River and comes back into Moreton Bay and Brisbane, and the Mary, which flows up to the river heads between Maryborough and Hervey Bay. Those waterways are an integral part of our history and landscape and critical to the region and the natural environment that we value above all else. We have the most amazing geological formations in the Glass House Mountains and then iconic mountains like Mount Coolum and Mount Ninderry – all of which are important elements of the Indigenous heritage of the Coast. The Glass House Mountains have been 25 million years in the making. We’re a relatively young area in terms of white settlement, but for our Indigenous peoples, these sites have been important geographical and geological formations for over 40,000 years. This is an area that recognises itself as being largely made up of people who have come from somewhere else. 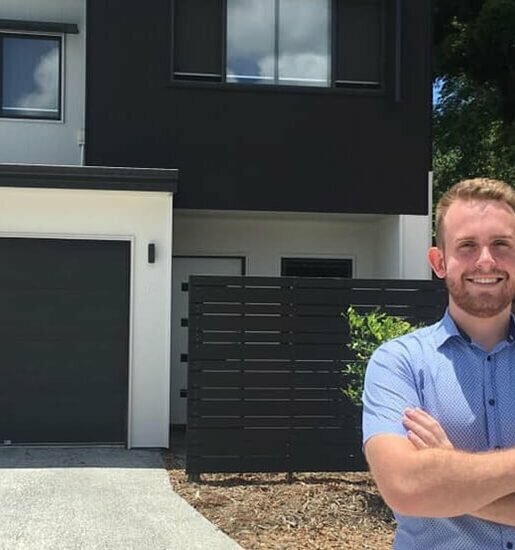 There are certainly plenty of locals, but proportionally and compared to a lot of other Queensland cities, this is an area where people have consciously chosen to live in and they come from further afield to be here.